POPULAR LOCATION! HOME ESTATE AGENTS are pleased to offer for sale this realistically priced three bedroom semi-detached property located on the very popular Cross Knowle View in Davyhulme. This family home boasts spacious living accommodation to all floors and is conveniently located for all local amenities. If you are familiar with the Maunders build properties it is possible to extend the property or convert the ample sized attic to add more space to this good sized property. Close to all local transport links and within the catchment area for several popular schools this really is a must view. 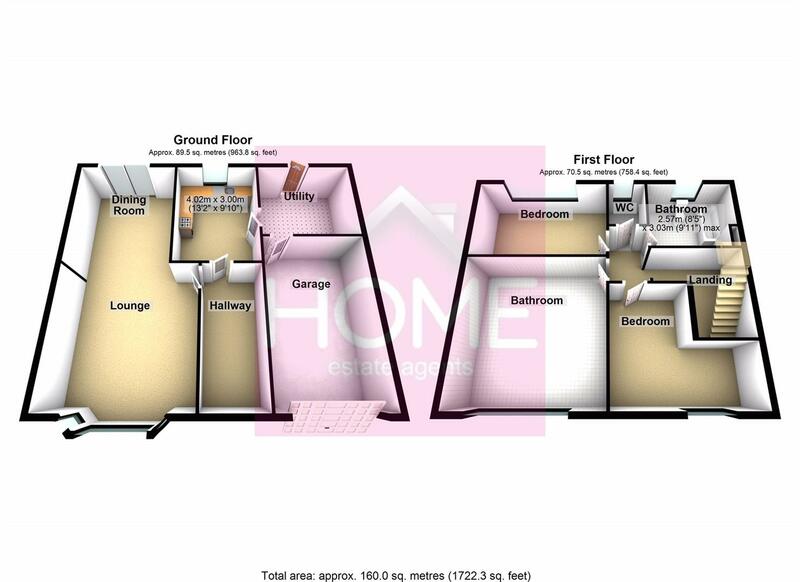 The accommodation comprises of entrance hallway, lounge, dining room, fitted kitchen, utility room and integral garage. To the upstairs are three generous sized bedrooms a separate WC and fitted bathroom. The property is mostly double glazed and warmed by gas central heating. To the outside front is a mostly lawned garden and ample driveway offering off road parking and leading to the garage. To the rear is a good sized lawned garden and paved patio area. To book your viewing call HOME ON 0161 7471177. To the outside front is a mostly lawned garden and ample driveway offering off road parking and leading to the garage. To the rear is a good sized lawned garden and paved patio area. To book your viewing call HOME ON 0161 7471177.